Whether you have been playing the multiplayer content in Uncharted 3 religiously or just a smattering here and there, this weekend would be a good time to get some more of that in. 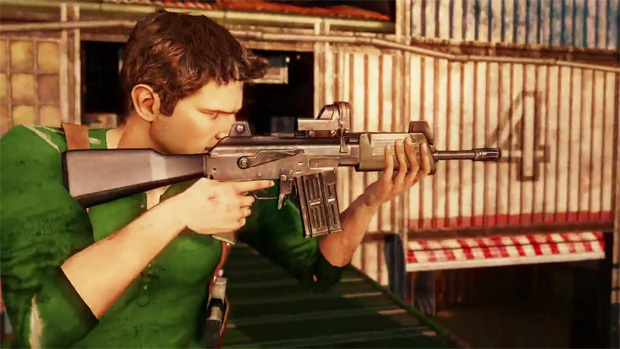 Naughty Dog is hosting a bonus cash event for the game this weekend, but there's something else special they've tossed into the mix: an increased chance of rare loot drops in the game's three cooperative game types. The bonuses are live now and will remain so until Tuesday, December 19th. This promises to be the first promotional weekend for the game in a series, as the developer also warned us to expect some other kind of festivities would kick off at the conclusion of this event. For me, nothing says "baby Jesus in a manger," quite like fighting over lost treasure, so I welcome this first of many opportunities to demonstrate commitment to faith in this holiday season.